In the world of technology, mobile devices are the most popular devices used by the people for various reasons including communication, study, entertainment, shopping, business, etc. The usability of mobile devices makes users excited to have excellent mobile experience. Surveys reveal that the number of mobile users is far more than the number of desktop users. Most of the persons who use mobile devices do not think it essential to use any desktop, but on the contrary, almost every desktop user has a mobile device separately. For even a common person, mobile devices have become an essential part of their life. With the new features and cutting technology, the evolution of mobile apps continues to roll on. For public use and for customers of a particular business, apps are developed and the targeted tasks are made amazingly simpler. 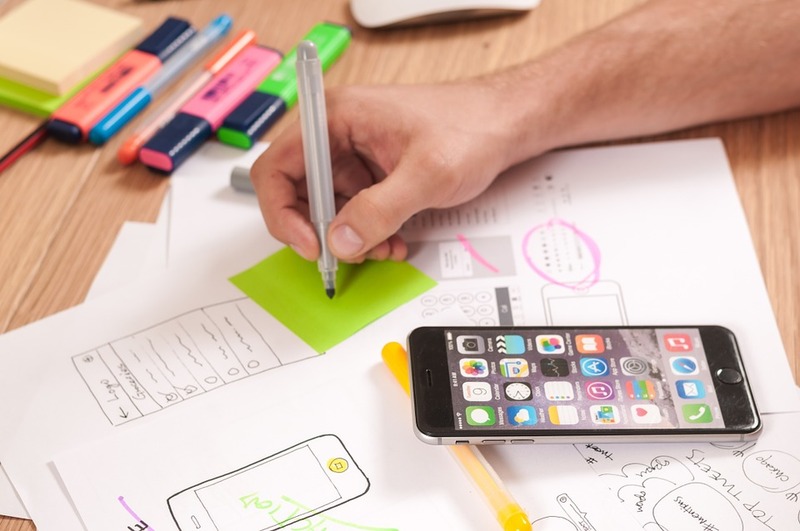 With their increasing usability, mobile apps are not limited to just any particular tasks and functions, but these instead are developed to facilitate businesses and common users broadly. Now most of the brands and industries develop their business plan that is integrated into comprehensive mobile strategies. Both small and large corporate are thinking the reasons to start their mobile marketing journey in the first place. Today the tremendous impact of mobiles has been clearly recognized everywhere, and business persons have begun to evaluate it as an essential part of their business. Mobile app development companies are deeply focussing on the mobile app development to shorten the typical tasks for users as well as companies. But they must also reconsider how to market their apps. In the past years, mobile marketing development companies generally hire mobile app developers and get a mobile app developed and then they market their mobile app in traditional ways. But in the competitive environment, they need to rethink over building App Marketing Strategies. To help you navigate the landscape of mobile app marketing, I am sharing some useful tips that must be included in your effective app marketing strategies. Marketing a mobile app and setting up goals may be a new thing for you for most other marketing campaigns. The first and foremost thing you need to do is to set your specific app marketing goal. Your marketing goals should still be measurable, specific and realistic. For you, app marketing can bring a whole new range of issues to the table. You can be familiar with revenue and velocity however you need to focus on the KPIs specific to your app marketing strategies that should include app store rankings, cost-per-download, organic and loyal user acquisition and app store optimization. As a business person, if this is new and unfamiliar ground for you, you should assign a dedicated marketing team to focus on benefits of these KPIs in your marketing strategies. If you establish your goals well, you may further distinguish them as primary and secondary goals. While developing your marketing strategies, you need to understand all the required resources you have to market your app. The Internet and mobile networks are the best ones you can use. You must reap the benefits of social media sites to market your app. Most of the marketers undervalue mobile marketing and they don’t pay proper time, efforts and budget on the mobile marketing techniques. They should rethink over it. While making mobile marketing strategies, you can include several free bulk SMS services available to mobile marketers today. These bulk SMS services can help you reach the maximum number of customers. As this is an era of mobile technology, you must include the mobile marketing techniques in your marketing strategies. Mobile apps are a powerful marketing tool, and therefore you require a greater allocation of marketing resources. In the present scenario, most of the consumers wish to receive specific and location-based business alerts on their mobile phones. That is why it becomes essential to invest a significant budget to the mobile advertising strategies to connect local or nationwide consumers. Doing so will help you increase your app visibility to the number of the customers that are not using desktops but keep their mobile device most of the time a day. It will make sure that you are effectively keeping in touch with your mobile customers. In spite of having sound knowledge of expertise in marketing strategies, you can be unable to give proper time to build and execute them in your way as you can have a lot of works to do regarding your core job. In such case, it would be good to hire an expert team that can help you beat the marketing challenges in the tough competition. However, you need to be specific while hiring your digital marketing team. Make sure that the marketers are well versed in handling the challenges that mobile faces. They should be able to focus on the challenges including optimizing your marketing efforts, targeted media buying, app usage analytics and more. Doing so will appease everyone who feels they should have a control on the app marketing strategies. It will also end up those marketing strategies more successful. Although aligning the marketing goals of all of your different departments is not easy, yet you can be successful in doing so through ongoing communications and routine meetings with marketing team members. And thus you will have a much better chance to hit all of these different marketing goals while minimizing power struggles. Apart from that, you will have more hands and creative input available to create and execute app marketing campaigns. Whether you are at the level where you have a large number of customers, always keep on doing your marketing activities to achieve your next goals. As you know, mobile app environment is always dynamic and changing. In the competitive market, established and entrepreneurs are in the competition that is why your team should tirelessly come to the customers with updates, changes and innovative with your products. Getting in touch with your present and potential customers continually will help you maintain your network of your customers and standard of sale.